The international-capable, 3G/4G LTE/Enhanced LTE smartphone runs Android 5.1 Lollipop on a 1.2 GHz quad-core processor for zippy performance and smooth, error-free usage. 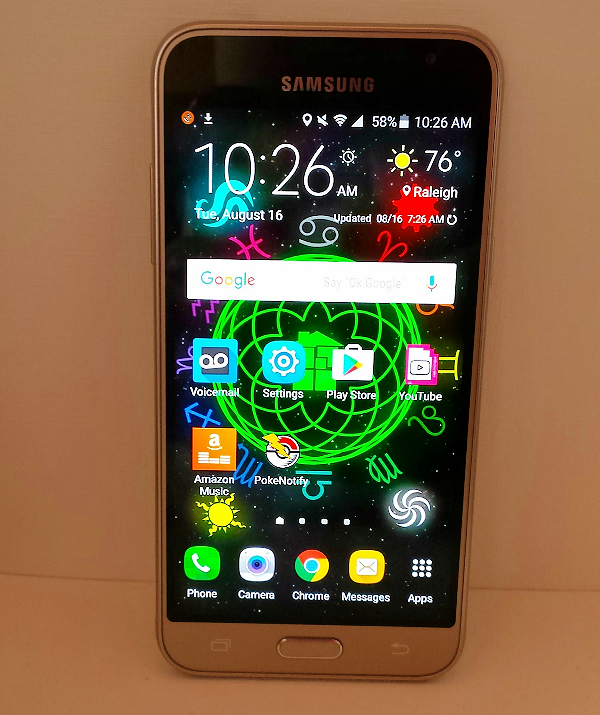 The pocket-sized Galaxy J3 sports a 5.0″ HD Super AMOLED screen that boasts video with vibrant, crisp colors. My 12-year-old daughter replaced her much-loved Galaxy Prevail LTE phone with the J3 6 and is thrilled with the switch. The J3 weighs 4.9 ounces and measures 5.6″ by 2.81″ by .31″ and is a perfect fit for a teen or tween’s hands. The onscreen keyboard is similar to other Samsung phone keyboards, and works very well for that thing that teens and preteens love to do – texting. The phone’s touchscreen has just the right amount of sensitivity for commands and navigation. 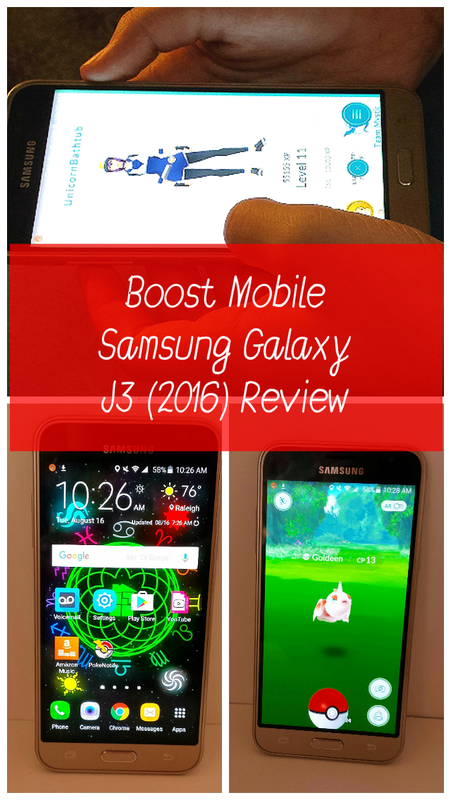 Games and videos look and sound fantastic on the Galaxy J3. 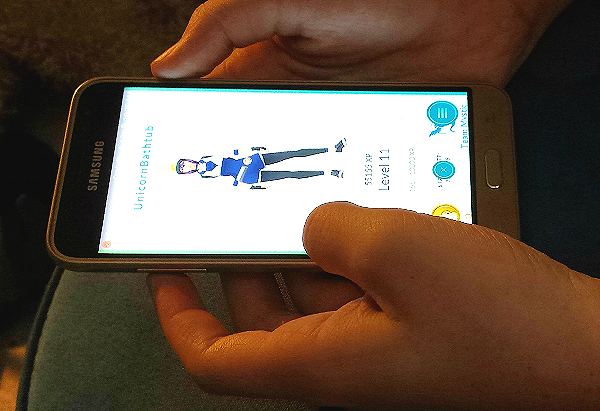 Like so many other kids and teens, my daughter loves playing Pokémon Go. When I was taking photos for this review, I actually caught a Pokémon for her, right there in my bedroom. You can add to the Galaxy J3’s 16 GB of onboard memory with a microSD card up to 128 GB in size. Some phone brands are phasing out microSD cards, and iPhones have never offered this feature. Battery life is pretty good on the Galaxy J3, though with the heavy usage it gets at my house, it needs to be charged daily. Pokémon and other games plus a liberal dose of YouTube videos will drain any phone’s battery in a hurry. 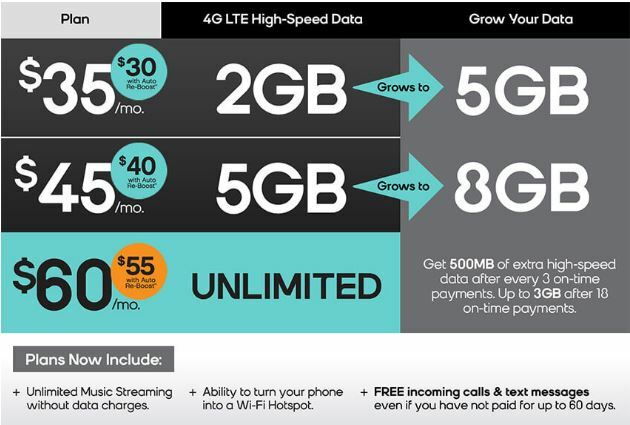 The phone’s Sprint 4G LTE mobile network gives her data coverage anytime she needs it. The Galaxy J3 6 costs around $180 plus as low as $30 a month for unlimited talk and text plus 2 GB of full-speed data with auto-pay. Plus, your data can grow by .5 GB per month (up to 5 GB) with every three months of on-time payments. On-time payments are pretty easy when you’re auto-paying with a credit or debit card. My daughter received a demo device for use in this honest review. All opinions are my own.